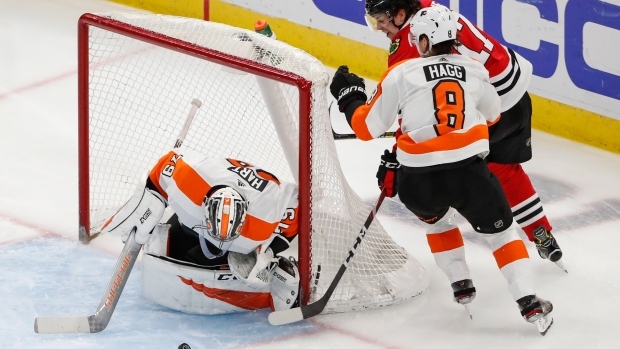 CHICAGO — Carter Hart made 40 saves and James van Reimsdyk snapped a tie in the third period, helping the Philadelphia Flyers beat the Chicago Blackhawks 3-1 on Thursday night. The Blackhawks scored first when Gustafsson made a move in the right circle and beat Hart on the glove side 10:39 into the first period. It was the 15th goal of the season for the defenceman, who also scored during Monday's 3-2 overtime loss to Vancouver.